Contrary to popular belief, sighthounds do not need an excessive amount of exercise! I am often stopped by people whilst walking Scrap and asked how many miles I have to walk him. Many people seem to be under the impression that these dogs need a huge amount of exercise but that couldn’t be further from the truth! Sighthounds, particularly Greyhounds, are complete and utter couch potatoes and would rather spend their time as a couch decoration than out on huge walks. Sighthounds burn off any conserved energy through a run in the park or a nice walk. I often take Scrap to an empty field and throw a tennis ball for him. This gives him the freedom to go bonkers and run around until he tires himself out and wants to go back home to the couch. Backyard exercise is perfectly acceptable for these dogs but daily walks can provide more mental and physical stimulation which is important and helps to kill any boredom building up. It is important to remember that these dogs L.O.V.E to run! For that reason, it may be unsuitable having young children around when letting your dog off-lead. 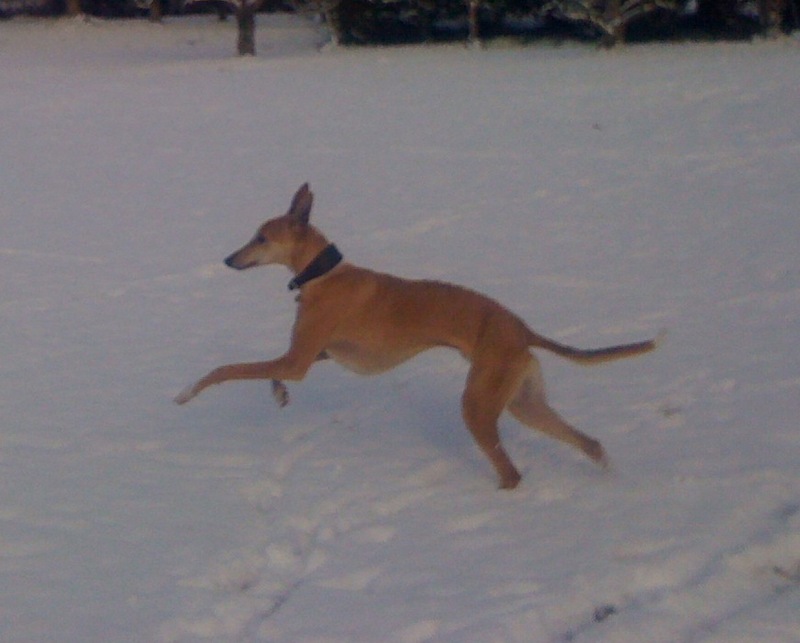 Sighthounds are very graceful when running but do not have the best of brakes. You may often see these dogs with muzzles on. I can assure you, it does not necessarily mean that that dog is aggressive. When running around, sighthounds often nip at each other as a form of play or their strong kill instinct can switch on around smaller dogs. 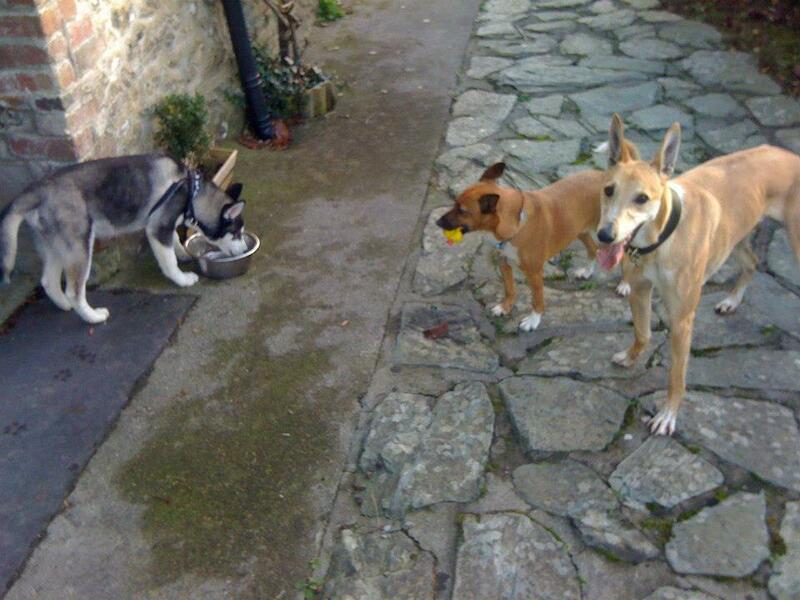 It is safer to keep a muzzle on these dogs when let off to run. 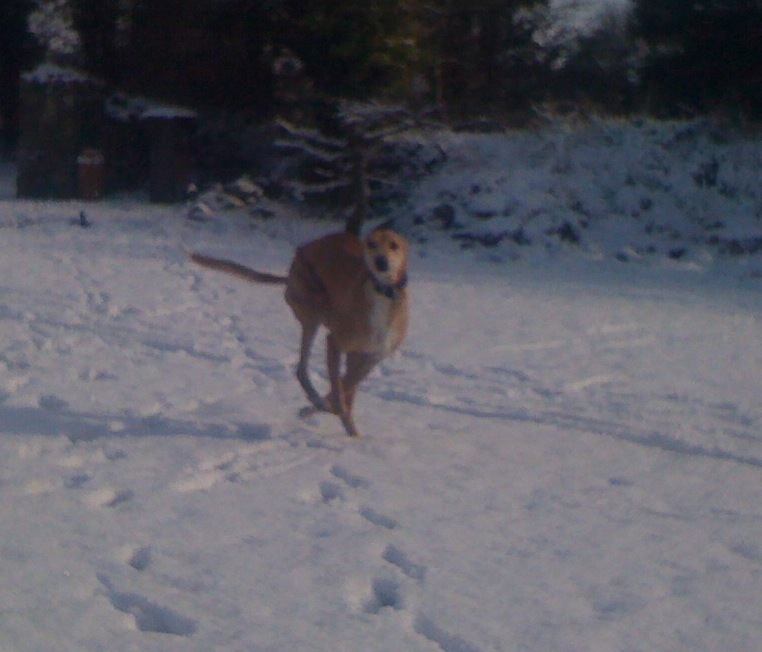 Sighthounds are sprinters, not distance runners! If you intend to run long distances with your dog, start with a one mile jog and slowly increase the distance. A long run can be harmful to your sighthound’s health if he is not conditioned. Finally, and most importantly, it is extremely important to wait at least an hour after your sighthound has eaten before doing any kind of exercise with him. Sighthounds are prone to bloat which is a life-threatening condition and will require emergency veterinary care. (See post about bloat in Dog Care category). Categories: Dog Care | Permalink.